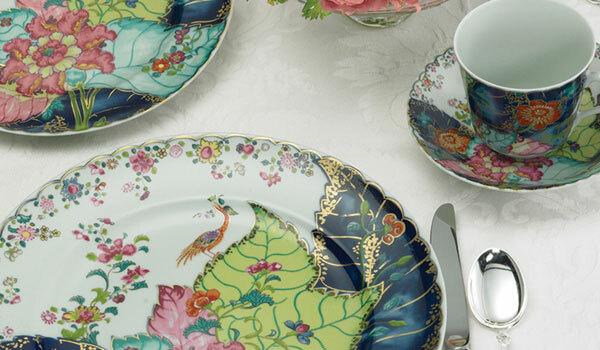 A recognized international leader in luxury ceramic antique reproductions and historic designs, Mottahedeh has been commissioned by the President, the U.S. State Department, and the Diplomatic Corps and offers an incredible collection of timeless fine china dinnerware patterns like Tobacco Leaf and Blue Canton. The 90 year old company focuses on complex and beautiful colors and unique historic shapes in a wide array of tableware and home décor accessories, crafted through centuries old techniques and attention to detail. With a proven reputation for producing the best fine porcelain and stoneware, Mottahedeh defines classic and enduring designs.